When the movie Ratatouille came out, I went to go see it with my nephew while I was home on vacation from the Le Cordon Bleu. I wasn’t super far along in my training, but I was far enough along to become extremely annoyed when the rat and his friend mention that rosemary is a spice. I wanted to yell, “ROSEMARY IS AN HERB, YOU BAFOON!” at the screen, but being a polite movie-goer, I restrained myself. Still, to this day, Ratatouille is my least favorite Pixar movie – purely from this one misunderstanding. So let’s take a look at what spices really are, and how to buy and store them. A spice is a dried vegetable product (usually the root, seed, bark, or fruit) made of volatile oils that are used to for flavoring, preserving, or coloring food. Depending on what you are making, the spices you choose may be picked for what they add in flavor, and others may be chosen for what they bring in aroma. Spices that have gone stale are as good of use to you as papier mâché maracas. They make you feel like you’re contributing to the band, but aren’t high quality and don’t add much to the symphony of your meal. In fact, I highly recommend that you go through your spice cabinet right now, and if you haven’t used a ground spice in the last six months, pull it out and go in the backyard and have your own mini color run. Someone can stand on the side of the race course and pelt you with these spices while you run laps, then, at the end, you’ll be a few different colors and smell lovely – which is better than most people at the end of a color run. Where are you shopping? : If you are getting your spices from a run-of-the-mill grocery, you are probably not getting the highest quality, freshest, or most pure spices. Spice-specific stores are more like to have higher quality, fresher, and uncontaminated spices because the inventory is updated frequently and the stores are designed to maintain quality. My absolute FAVORITE place to shop for spices is at different ethnic markets. The prices are usually very fair, and the product is often a higher quality because the people who use them every day know what is good and what isn’t. 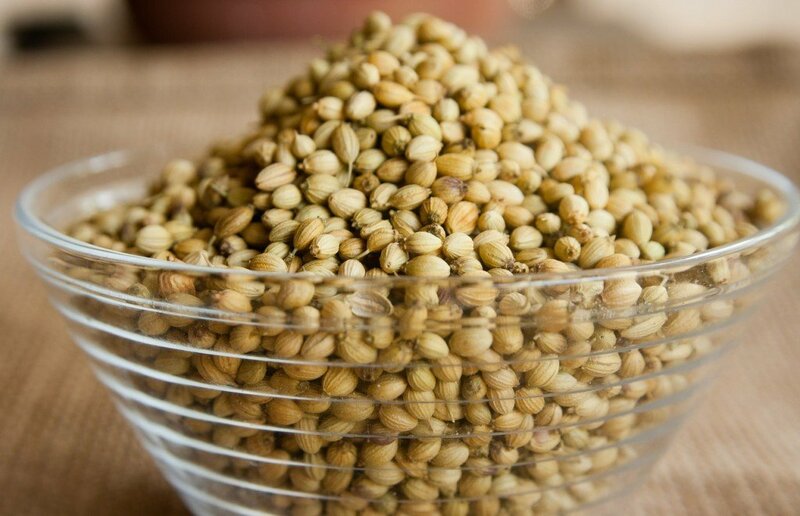 Shelf Life: The average shelf-life of a ground spice is about 6 months, and whole spices can be good for around 1-2 years. Keep in mind also, that the more obscure the spice, the more likely it has been sitting on the shelf (of both the store and your home) for much longer than it should. Let’s be honest with each other. . .is it time to start fresh? Do you need to do that backyard color run? Ground or Whole? : When spices are ground they lose a lot of their potency by breaking down and exposing the volatile oils inside, putting you at disadvantage for flavor. Grinding whole spices right before use will give you a better tasting finished product because the volatile oils being released are going right into your food. While the time-saving benefits of ground spices are nice, they are not always as beneficial as they seem. My favorite thing about buying whole spices is that you see exactly what you are going to get – if the spice company tries selling you a contaminated or bad product, you’ll be able to see it and walk away. Price: If the price of your spice seems too good to be true, it may very well be. Did you know that the FDA doesn’t require all ingredients to be listed in the packaging of ground spices? Depending on the brand, they could be padded with other things, like rice (to prevent the spices from becoming too moist), flour (which prevents caking and clumping), or salt for added flavor. Achiote, for example, is often mixed with cornstarch. When possible, buy the highest quality spice you can afford. Do your research and choose your favorite companies. Amount: Because the shelf-life of spices is so short, buy only what you need. If you are buying in prepackaged containers, buy the smallest one possible. If you are buying by the scoop in a bulk section, get only what you need, or what you know you will use in the next few months. Smell: If you can, (I realize this is only helpful if you are buying in bulk) smell the spice. It should be pungent and not lackluster or musty. If a large whiff of it doesn’t make you pull your head back a little and blink a few times, it may be starting to go stale. When I moved to Portland, one of the first things I acquired for my kitchen was a spice rack from a local store. I was over the moon! I felt like I was really moving up in the world – remember, I’m the girl who lived off of macaroni & cheese and broccoli up to this point. I later learned during school, that spice racks are a bit of a ruse. 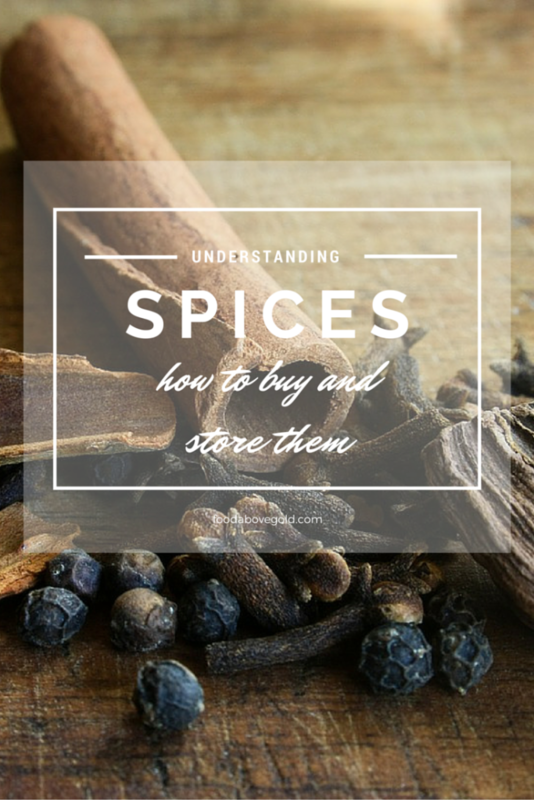 You see, spices need to be kept in a cool, dark place to preserve their quality; not on the counter or in a beautiful rack where they are exposed to heat, light, and air. All three of these things diminish the quality of the spices and reduce how strong their aroma and flavor is. Unless you’ve grown and dried them yourself, most spices are already many months, if not years old, by the time they are packaged and sold in most grocery stores. How should you store spices at home? Air-Tight: Always make sure that spices are stored in a air-tight container. 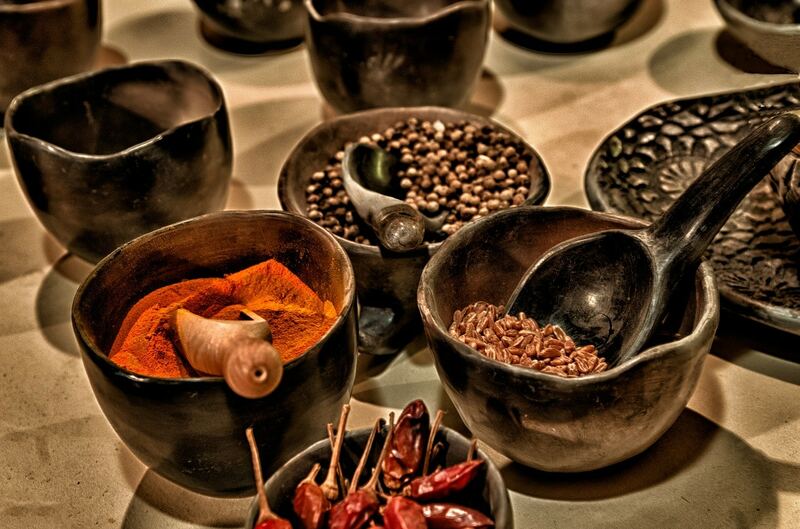 As air comes into contact with the spices, it takes away the aroma and flavor by removing their volatile oils. It also brings in moisture, which can change how effective the spice is when it is used, no matter how fresh it is. Dark: Light will cause most spices to fade and become less vibrant; which is especially lame if those spices are being used for their color, like paprika or turmeric. If you can, use containers that are dark in color, or have paper that blocks light from getting to the spices. Cool: Heat is an enemy to the volatile oils, as well. Keeping spices tucked in a drawer or cabinet and away from heat sources, like your oven, stovetop, or even heating grates can increase their shelf-life. Certain spices, like lemongrass, galangal or barberry are best kept in the freezer to retain their color and flavor if you aren’t going to use them within a few days or purchase. Tip of the Trade: To keep yourself from having to question whether or not your spice is too old (or from wondering if you purchased it during the last presidential campaign) write the date of purchase on a piece of masking tape and put it on the bottom of the container you’re storing the spices in. That way, if you go to your pantry to pull out ground cumin, and the date is more than six months, old you know it’s time to throw it out and replace it. If you’re storing whole spices, write how long to keep it on the tape as well. For whole cumin, for instance, you usually want to use it all within one year. I hope you’ve enjoyed learning about spices. Don’t worry, I’ll come back and do a 201 post about how to use spices soon. In the meantime, if you want to play around with spices, or try some new ones, I recommend making this spiced blueberry pie with a cardamom crust. It has cloves, cinnamon, juniper berries, star anise and cardamom in it! Yum! It’s perfect for the coming autumn weather. What are your favorite spices to use? Did you have a mini color run in your backyard? Tell me about it in the comments! My spice rack was the same way! It must be some unspoken rule between spice rack manufacturers. I’m excited to hear what you come up with for your new system! This was extremely informative! I’m embarrassed to admit that some of our spices are from when we first got married (ahem, over 3 years ago!). Looks like a color run is in my future! I’m really enjoying learning about food and how to cook through your website!